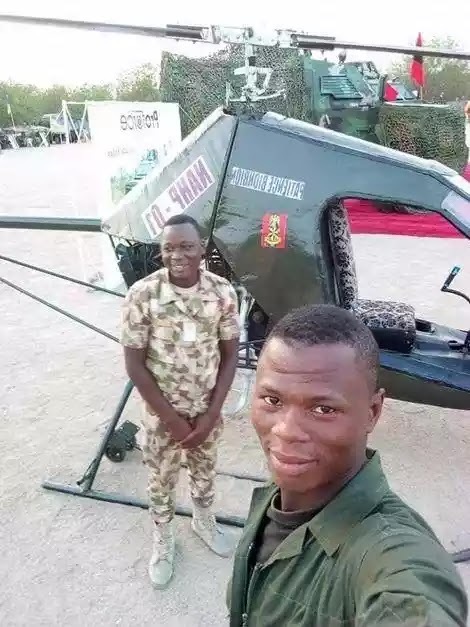 A Facebook user identified as Dud Malumfashi, has taken to the social networking platform to share the photos of a young Nigerian man who recently showed his patroitism by constructing a helicopter for the Nigerian army. 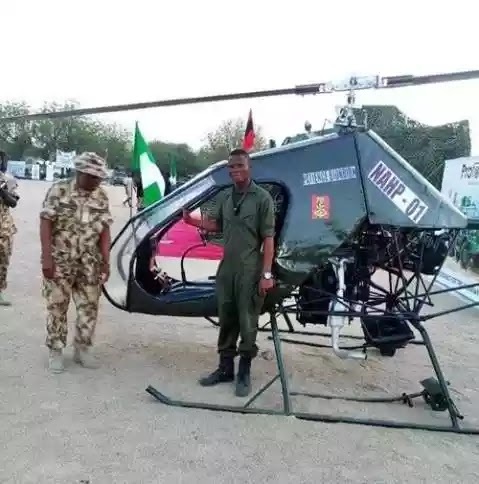 According to reports, the young man designed the helicopter using green colour to represent Nigeria, and delivered the helicopter to Borno state for display during the army day celebration. The young genuis is from Rigasa Igabi local government area in Kaduna state. Malumfashi who shared the photos online, wrote: "Brilliant young boy from Rigasa Igabi Local Government Area, Kaduna state, designed and built Helicopter for Nigerian Army. The helicopter was displayed during the army day celebration in Maiduguri. The boy is good !! AHUUA !!"